Available at iTunes - Spotify - YouTube - Amazon - GooglePlay - Bandcamp and more. 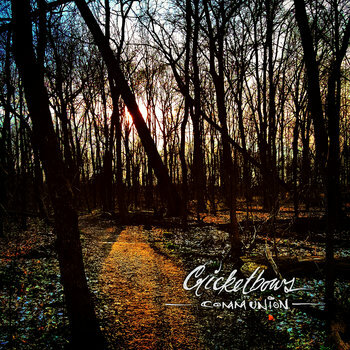 Dayton's Psychedelically tinged songsters CRICKETBOWS are proud to release "Diamonds" - the 4th collection to bear the band's name but the 1st release to feature the full live band. CRICKETBOWS' early works (2010's "hOMe", 2011's "Mycocosmic Transmission" and 2012's "LID") were well received and provided the blueprint for what the band would become but were basically solo home recordings that were the work of Lead Vocalist/Guitarist Chad Wells and a collection of friends (including Roger Joseph Manning Jr. of Beck and Jellyfish fame and Andy Gabbard of fellow Ohio Rockers Buffalo Killers) and were a bit weird and disconnected (as entheogenically inclined musical releases can tend to be). Once a band was formed to play CRICKETBOWS catalog in front of an audience there came a shift toward a more cohesive, classic rock sound brought to life by Female co-Lead Vocalist, Flutist and Multi-Instrumentalist Aarika Watson, Lead Guitarist Michael Bisig, Bassist Christopher Corn and Drummer Jim Ingram - alongside Wells, all well respected members of the regional music scene. 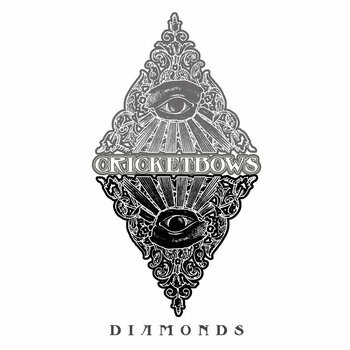 Their anticipated new album, “Diamonds” (Produced and Engineered by Brian Olive) is CRICKETBOWS' most cohesive and linear work. With a stronger focus on song structure, composition, guitar and vocal interplay and a return to a natural sound inspired by their predecessors, the album is pure CRICKETBOWS but brings to mind the parts of Jefferson Airplane, Thirteenth Floor Elevators, Fleetwood Mac, X, early Jane's Addiction, Nirvana, Mother Love Bone and sits nicely alongside modern-era psych-centric acts like Black Mountain, Sleepy Sun, Brian Jonestown Massacre, Buffalo Killers and The Black Keys as well as their fellow Daytonians Guided By Voices, The Breeders and The Motel Beds. "Diamonds" isn't a concept album but it's a conceptual album. It talks about duality, non-duality, Alchemy, Psychology, Psychopharmacology, Metaphysics and growing up in Ohio in the 1970's, 80's and 90's. Real guitars and drums and real live vocal performances, played by real people with real emotion on real instruments into a real reel to reel tape machine.